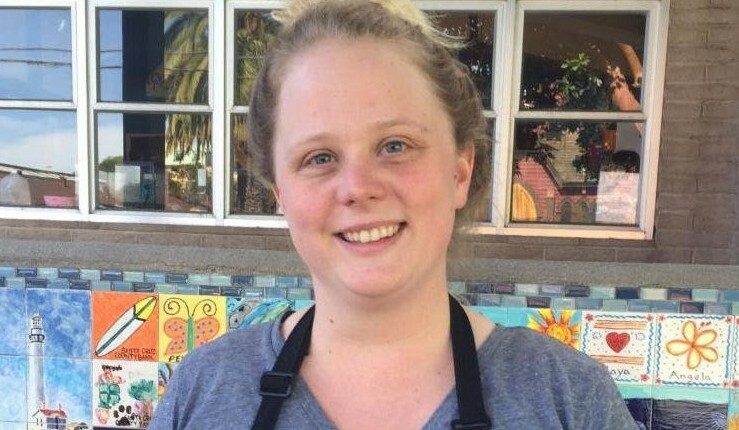 That’s how Katee Freeman happily sums up her experience working at Boys & Girls Clubs of Santa Cruz County. Katee has worked half her life at the Downtown Clubhouse, starting at age 15 as a summer employee and working her way up to Program Director. Previously, she held nearly every job within the organization, including Creative Arts Director, Social and Development Director and Youth Development Director. As Program Director, she supervises a staff of about 15 employees at the Downtown Clubhouse. Average daily attendance after school is between 80-120 members, and during summer the average daily attendance soars to 200-250 members. Katee recruits and manages a volunteer base of about 300 people and ensures the facilities are up and running each day. She also partners with educators and law enforcement officials to ensure members are attending school and staying out of trouble through gang prevention programs and other interventions. 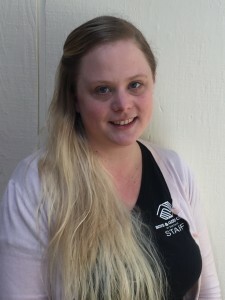 Katee was introduced to Boys & Girls Clubs during a challenging period in her own childhood, and learned as an employee what a difference she could make in the lives of young people. Learn more about other members of our staff.